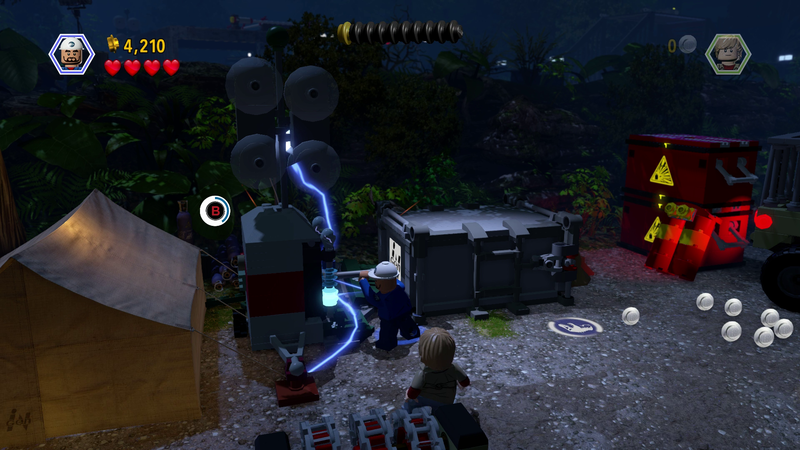 LEGO Jurassic World is the latest LEGO game from Traveller’s Tales and if you’ve played ANY LEGO GAME EVER, then you are as prepared for LEGO Jurassic World as Bounty Paper Towels are prepared for a small liquid spill and that’s pretty damn prepared. People complain that COD or Battlefield make a game every single year but I think one of the first things Goldman Sachs’ uses as a indication that the global economy is about to implode is if there are not at least 3 LEGO games released in a year and they’ve been coming out that way since the start of time. I believe I remember a section in the Bible where Jesus and Moses are playing LEGO: BC and getting mad because they are trying to destroy 3 Gold Cow Idols for a Red Brick but haven’t unlocked Noah yet so they don’t have the correct ability. All LEGO games have the exact same 2 things going for them. The first is the start of the game’s name is LEGO and the second is the last part of the game’s name is some other insanely popular franchise with about a million raving fan-boys. And it’s a formula that works so god-bless their cookie cutter hearts and I hope they keep making them for a million more years. That’s not to say that nothing ever changes in LEGO games. It’s more like they are not especially aggressive at adding new features. Traveller’s Tales sits down to start working on the next installment and Bob says, “How about we add these 2 things.” and everyone at the table applauds him and they get up to move on with development. Well George thinks he has 2 more things that would make it great also but too late George, someone already said 2 things and we don’t want to look like some kind of crazy dev that does more than 2 new things a game do we? The answer is no, no we do not. A LEGO game isn’t complete without a ton of random abilities! Of the two things they actually changed for LEGO Jurassic World the biggest and most welcome for me is that in the character select screen it clearly and precisely notes each and every character’s abilities. No more trying to remember who can break fuchsia colored bricks vs light-fuchsia colored bricks or some other nonsense. Another bonus is if the ability you need is sitting right there as character two, they give you a quite large hit Y to switch to him and try again. If no one in your party can do it they give you a headshot pic so you can try to figure out how to acquire them and come back later. But there are also the same types of glitches that have never been fixed or even acknowledged. I can’t get through a LEGO game, and Jurassic World was no exception, without several characters getting permanently stuck in something. This always leaves you with only one option. To quit the entire level and try to start again. How hard would it be to code a reset position option in the menu? It would help my blood pressure immensely. The main story consists of 20 levels covering all 4 movies. The levels follow the movies in pretty accurate detail expect with a more comedy minded outcome to some of the more tense movie situations. The cutscenes in LEGO Jurassic World are all played out with the actual audio tracks from the movies and 90% of the time they sound crisp and clean. There were a few lines though that sound like they were pulled from a VHS copy that had been stored in garbage dumpster out behind a Long John Silvers. There are the now typical 250 Gold Bricks to acquire. Most of these are pretty straight forward and I was happy to see them move away from the insane number of fetch quests that made LEGO Lord of Rings so tedious. There are Workers in Peril and humorous photos to take. Races to be won. Sick Dinosaurs to heal. This isn’t just get the Gold Bricks to get all the Gold bricks. There are actual fun activities to do. All of these are short puzzles located in the same area and a new in-game map system shows the general locations of everything you need to accomplish. When it works. Again this is a LEGO game, glitches are to be expected. Some Gold Bricks simply didn’t make the cut for the map and hunting down your last few through the games many many many locations can become a chore. The new map system also allows for fast travel not only between story missions but hub locations which is a much appreciated new feature. Oh, and yeah, you get to the be the Dinosaurs. During the story missions you’ll take control to win battles and bust open new areas and in the hub / free roam areas they are selectable just like characters for the smaller dino and they have large strategically placed dino pads to bring in large dinos like the T. rex. So if you want to run amok with a Velociraptor then go for it! Storm around and trash things as a T. rex? Yep you can do that too. Dinosaurs! 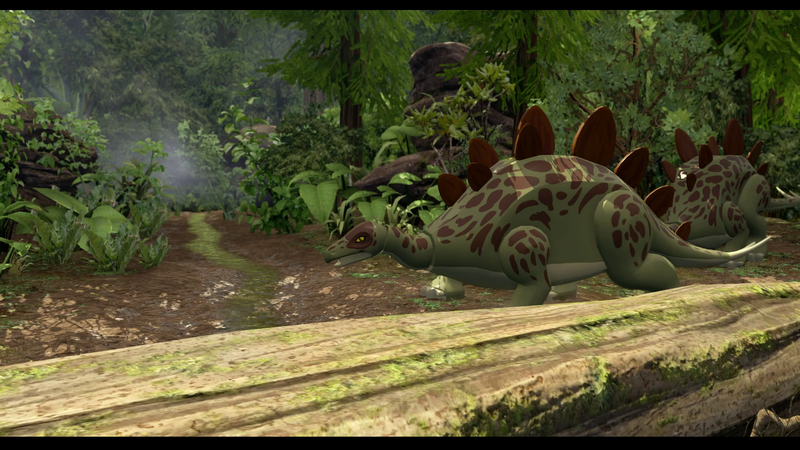 You can play as LEGO Dinosaurs! Even though at it’s core this is the same LEGO game that has been made for the last 20 years, the abilities and story are always unique to the franchise they are covering. Traveller’s Tales has a knack for taking material that is decidedly non-kid friendly and making it true to the original while making it accessible and enjoyable to the masses. I’d love to see what they would do with a LEGO Scarface. 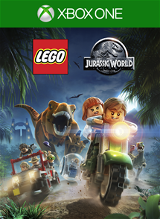 If you like LEGO, or you like Jurassic World, or you just like fun family friendly adventure games then you should absolutely give LEGO Jurassic World a play.